Steven Riznyk and team…Just to let you know that we are VERY happy…….. It is a big relief…………a BIG one……. and 5 years sounds like music in the ears……….. So we think time for a drink…and since it is a big bottle we will share with you……… Thanks!!!!!!!!!!!!!!! Cheersssssssssss!! Steven Riznyk and your staff: I wanted to express my family’s appreciation for your staff’s work in our case. Our son is now here with us. Thank you for all your hard work and your staff’s preparation of our case. Steven Riznyk, You have a great team! Thank you for the update. Man, that was fast! Please thank Emily Butler for all of her hard work. You guys are the best! I want to take this opportunity to thank you and Steven Riznyk. This has been an unbelievably stressfull turn of events for Natalia and I. We have found strength in the confidence that you have instilled in us that we would be successful in the end. Your hard work and professionalism have given us this success. We thank you from the bottom of our hearts. Steven Riznyk and your team, Just received your E-mail. Your staff has been such a great help in submitting the Visa Application for me. However I do want to thank you too for all your help and advice through a very worrying situation which happily now has been resolved – at least for the next 10 years!!!!!!! Many many thanks once again your help has really been appreciated. 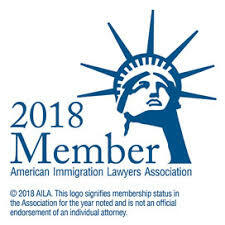 Steven Riznyk and Emily Butler : You are the best Immigration Attorneys in the United States that I have known. You are Number ONE. Good Luck! Steven Riznyk, You really went out of your way. Thanks for really helping me start my future. I am very grateful to you & everybody in the office that helped. Steven Riznyk and your crew : Just a little note to say many thanks for all the help in taking care of our case. We didn’t make it easy for you (lost passports, lost visas & lost lawyers!!!) but you came through for us & we are very grateful. All the best for a great future, keep in touch. Given the stress and worry that our immigration situation has caused us, we truly appreciate Steven Riznyk’s and Emily Butler’s time, understanding, and emotional assurance along the way. We truly feel confident that you know the US immigraiton system and how best to navigate it. This is a letter of recommendation based on my personal experience with Steven Riznyk. I inquired assistance via a web site regarding my case. I had received a call from Mr. Riznyk shortly after my initial inquiry and found myself very comfortable discussing my case with him. After numerous phone calls to other CIS lawyers, I felt most confident with Mr. Riznyk. Despite the long distance, I never had an issue communicating with Mr. Riznyk during my visa process. I sent him my payment prior to completion of my case and he was very professional in all capacities. Steven Riznyk and Emily Butler : Just a short note to let you know the visa was approved. So case closed! Thank you all for your great work, human touches, and putting up with all my histrionics! I am sure that I have been tells you many times, but I need to let you know one more time that…. you are our ANGEL, Thank you so much!, and please say Thank you to Emily, she sent to me the confirmation. You have a great assistance. Steven Riznyk and Emily Butler, I wanted to thank you for again for helping with my CIS case. Please find included a present for you that I had picked out but wasn’t ready to be shipped until now. It is just a gift to show you that I really appreciate all the times you have talked to me and helped my friends and make the right decisions. You are a very kind and sincere person and that is the main reason why I have always chosen to work with you. Thank you again for everything and I hope I picked a present that you will occasionally get to wear. Steven Riznyk : Words can’t begin to express how we feel for what you have done for us. You are one of the two people in our lives who has influenced our lives so immensely.